I know what you're thinking.. "So Biotherm has jumped onto the CC Cream bandwagon" - Well, not really.. We've already seen several CC Creams in the market. 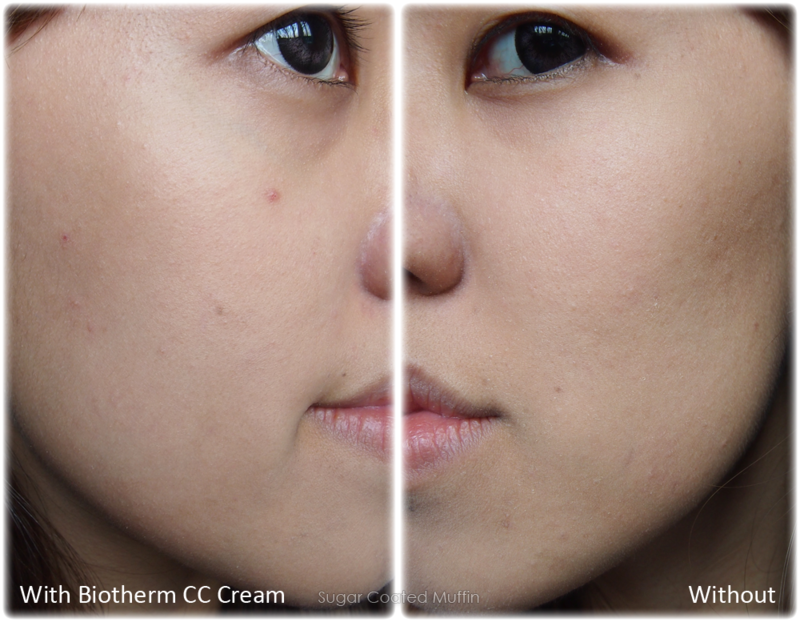 They are an upgrade from BB Creams which are normally like tinted moisturizers. However, this latest product by Biotherm is an innovative CC base which provides Colour & Care! 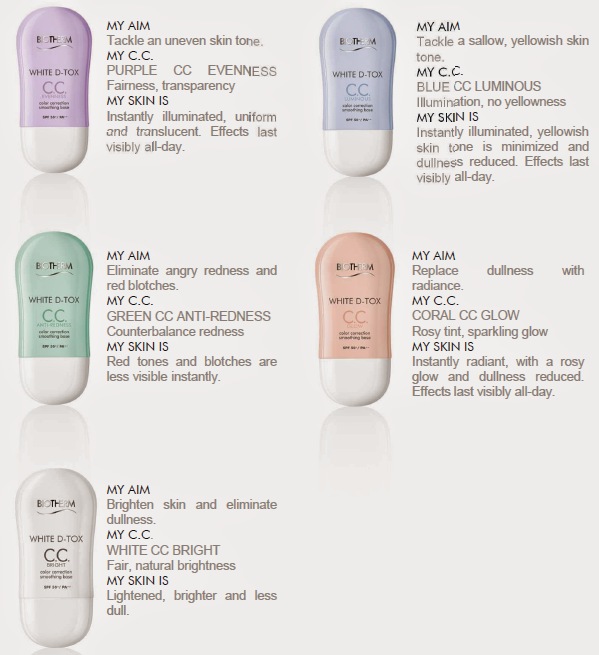 Makeup + skincare packaged in a cute lil bottle! 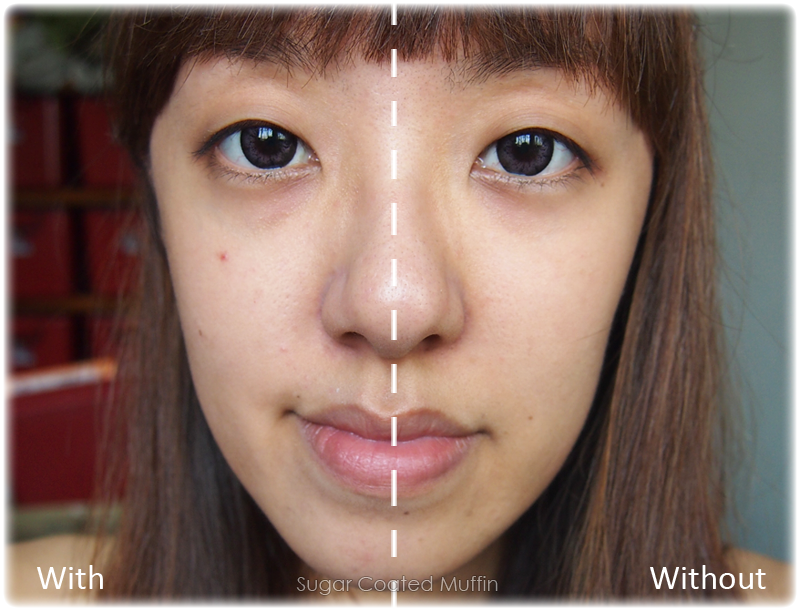 The colour tint is really subtle and almost disappears into skin. It does not leave behind any sticky or greasy residue. 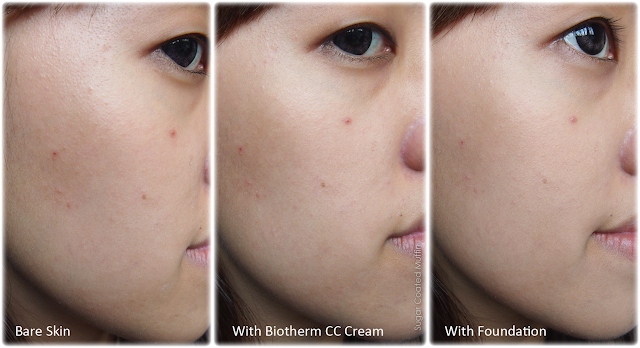 The Biotherm CC Cream offers 5-in-1 Care & Correction: Corrects, Hydrates, Smoothes, Protects & Illuminates. SPF 50+/PA++ together with triple illuminating Lumina Marina Complex protect your skin from the effects of the sun while brightening it. 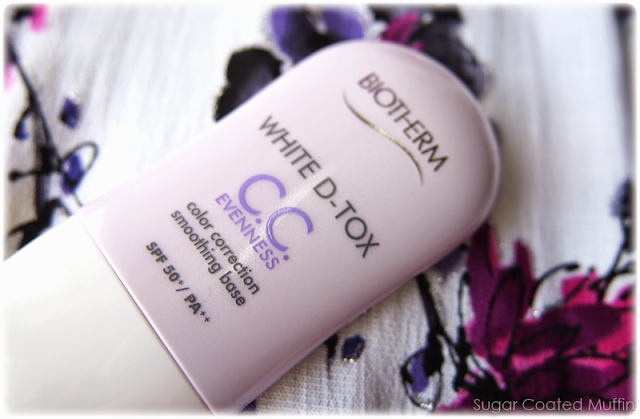 Purple CC Evenness successfully brightens and corrects the yellowness in my skintone (I'm REALLY yellow, trust me..). 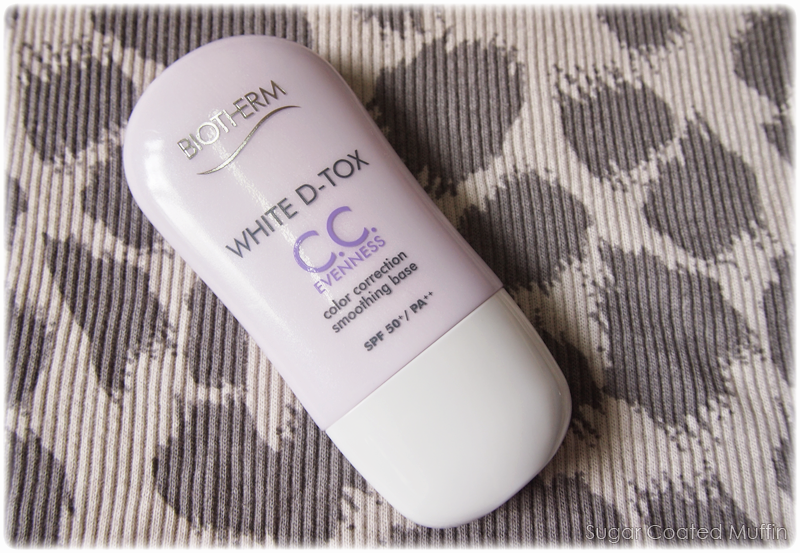 It glides on really well so I don't end up with purple blotches (personal experience in the past). 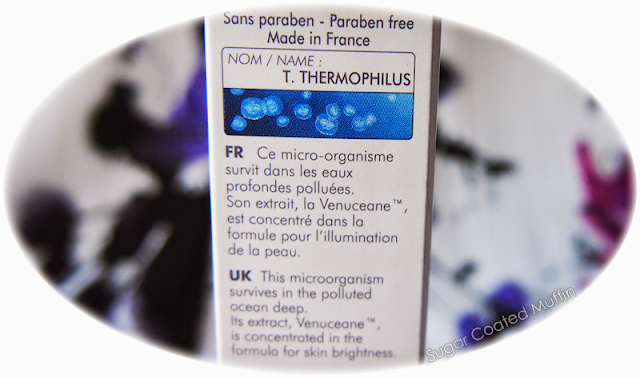 There are in total 5 colours to tackle different skin tone problems. 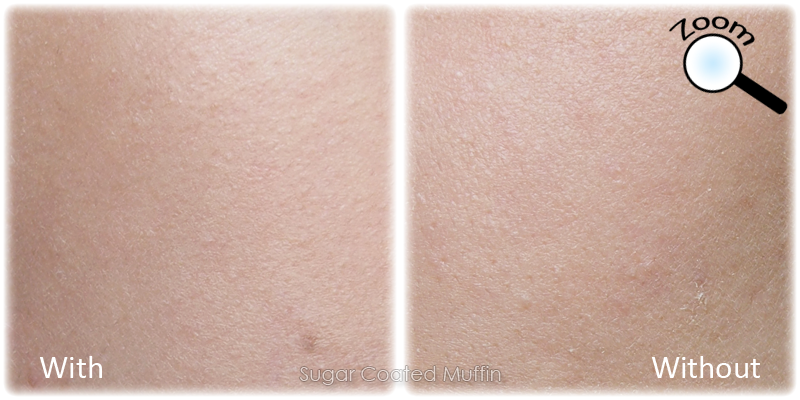 I didn't think it would actually smoothen my skin but proven wrong by my photos! Skin feels powdery smooth but it doesn't really help with the pimples though (Get Green CC Cream if you have acne). 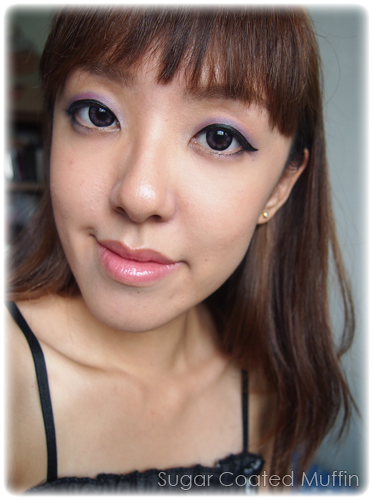 Somehow, foundation adheres much better like it's melting into my skin instead of just sitting on top. 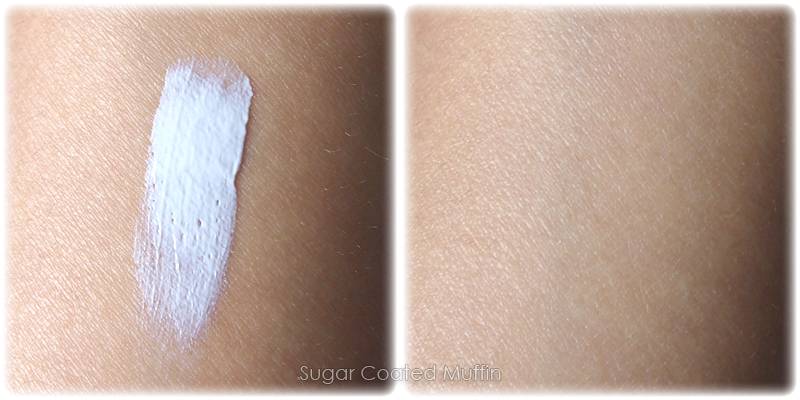 Over here, I have foundation on both sides but CC Cream on the left side only. 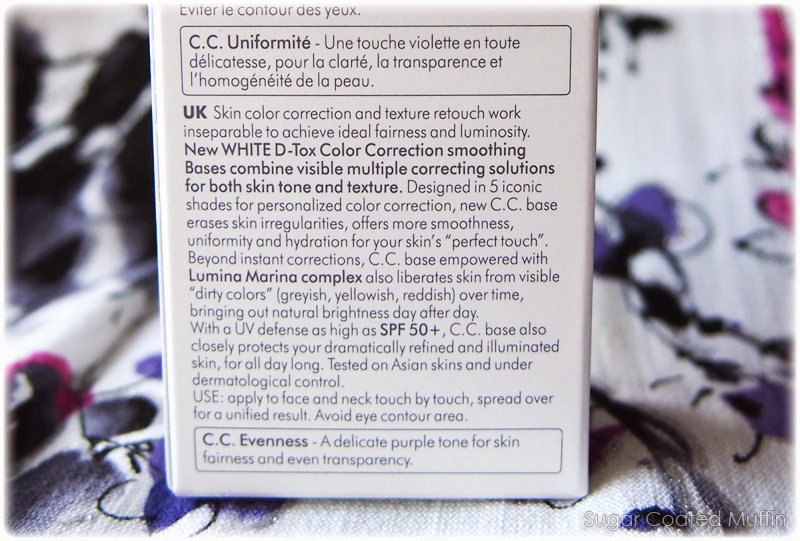 This makeup base hydrates skin and provides a smooth canvas for foundation to go on so it doesn't look cakey. Notice how my skin is normally flaky and dry.. 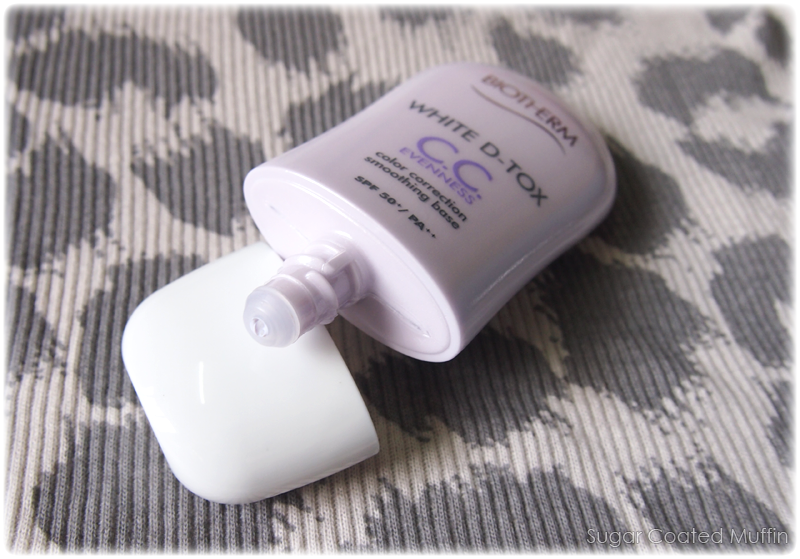 Overall, I think this is a pretty good product since it is skincare + moisturizer + sunblock + colour correction + base. I can even use this on days when I'm not using foundation, just for that lil boost & SPF.